Today we will take a look at a forex broker who attempts to become the leader in micro-accounts. This forex broker has been awarded the Fastest Growing Micro Forex Broker 2012 Award by Global Banking and Finance Review. Micro accounts gain popularity among new forex traders as the lot size is only 1,000 units. This compares with a mini account where the lot size is 10,000 units and a standard account where the lost size is the standard of 100,000 units. The Last Bear introduces to you the fastest growing micro forex broker; OctaFX. We have taken a look at their website and the first impression was very positive. Visitors are greeted with a professional design with user-friendly interface. 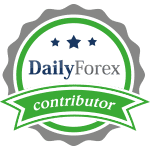 After reviewing what they offer it is evident that they do specialize on new forex traders and their services are geared towards new entrants to the market. They offer a minimum deposit of only $5 which should be disregarded as even in a micro-account there is no viable strategy which can be applied to a $5 portfolio. In a standard account, the minimum deposit should be $1,000 in order to be able to execute a strategy with proper risk management procedures, which in theory would translate to a deposit of $10 for a micro-account. For that reason, OctaFX offers a $8 Bonus Account which can be used for new traders to get their feet wet. After completing 2 lots, profits can be withdrawn but before you get too excited be realistic what you can achieve with $8. Maximum leverage is 1:500 and their spreads are listed as a starting floating spread of 0.2 pips with a minimum lot size of 0.01 lots. We have not tested their spreads and do not know how liquid OctaFX is. They claim to have no re-quotes which we took with a grain of salt. There are plenty brokers who claim no re-quotes, but traders should be careful with that statement as it may be nothing more than a marketing gimmick. The micro account only offers 12 currency pairs and interestingly enough they do not offer a standard account which was a bit strange. In order to add to the controversy, the next account they offer is an ECN account with a minimum deposit of $50. They do not offer any other platform than the MT4 and do not have an ECN bridge which makes this statement very misleading and the first major negative OctaFX delivered. A forex broker who is not honest with their services provided should not be trusted with a deposit, speaking to their customer support about this resulted in nothing more than the assuring words of an at least partially dishonest forex broker. Everything seemed fine with this forex broker, until we came across the ECN lie which made us change our mind and explains why we giveOctaFX two claws down. Yes, they cater to the newbies in the forex world but they deserve to truth and should not be misguided with false information. A chat with them only made the matter worse and we recommend that you stay away from them. Skip the micro-account and opt for a mini-account from PaxForex and if you are looking for a ECN broker you can take a look at FXVV. For EA traders OctaFx give free VPS hosting for accounts with a minimum equity of 300 USD. The most important thing I really appreciated while trading with OctaFx is the very perfect order executions without any price re-quotes. OctaFx broker dose not held much advertisement for the company ... I think the company need a little bit populated by using such as Google, Face book and YouTube ads campaign.... I know it is expensive but also a must. 2- Joining more regulation organization will be in OctaFx favor indeed. Thanks for your comment, but a bonus is never an advantage to a trader and it seems like OctaFX is paying you to make them sound better than they are. I decided to publish your comment as it shows tactics Octa FX needs to take in order to tackle bad review after bad review. A $50 ECN account is hardly a true ECN account, but that is another story. I think I'll also list my experience in a bullet points list. - no paypal or webmoney deposit option.